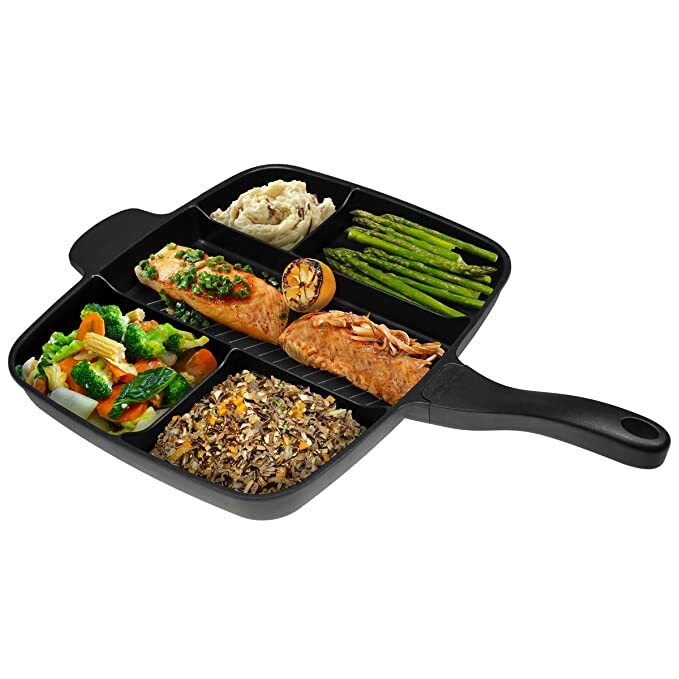 The Ultimate Multi-Sectional Skillet is perfect for those with smaller kitchens or those who hate cleaning multiple skillets. 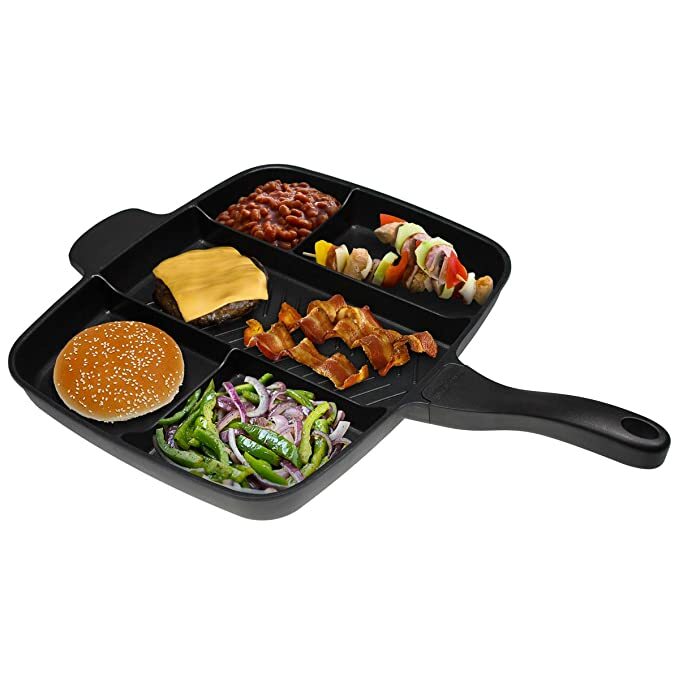 You can cook your entire meal on one skillet and not have anything get mixed up. 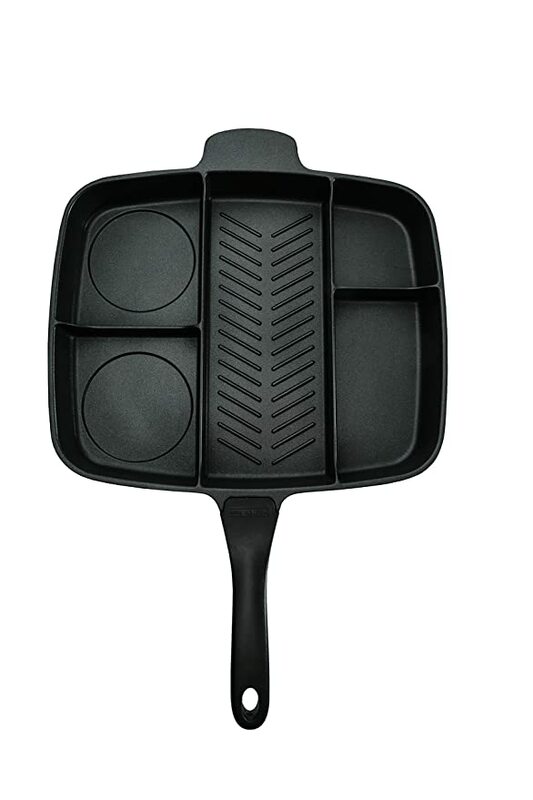 Should make for an easier meal time!